Narrowbacks in June, 2005. Left to right: Jesse Winch, Tony DeMarco, Terry Winch, Linda Hickman, Dominick Murray. Photo by Judy Bodman. 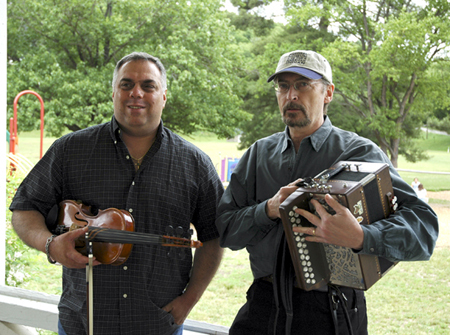 Tony DeMarco & Terry Winch, June 2005. Photo by Judy Bodman. Celtic Thunder in the late 1980s. 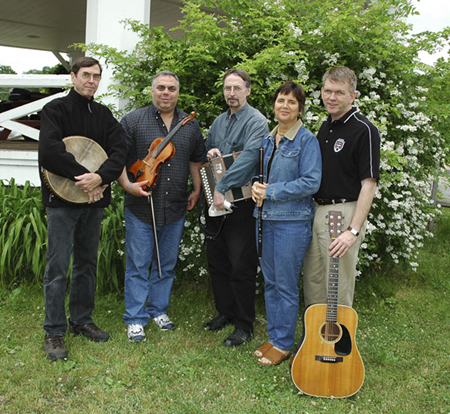 Left to right: Rob Thornburgh (fiddle), Dominick Murray (vocals, guitar), Terry Winch (button accordion), Jesse Winch (bodhran, bouzouki, harmonica), Laura Murphy (vocals). 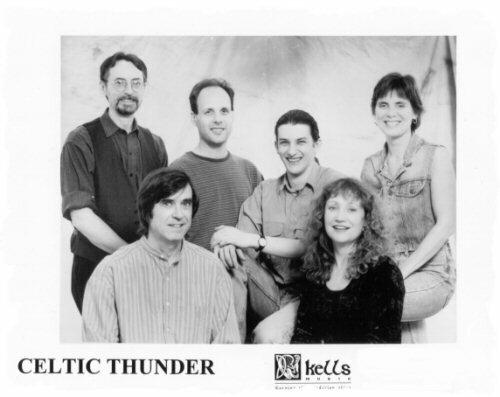 Celtic Thunder in the mid-1990s. 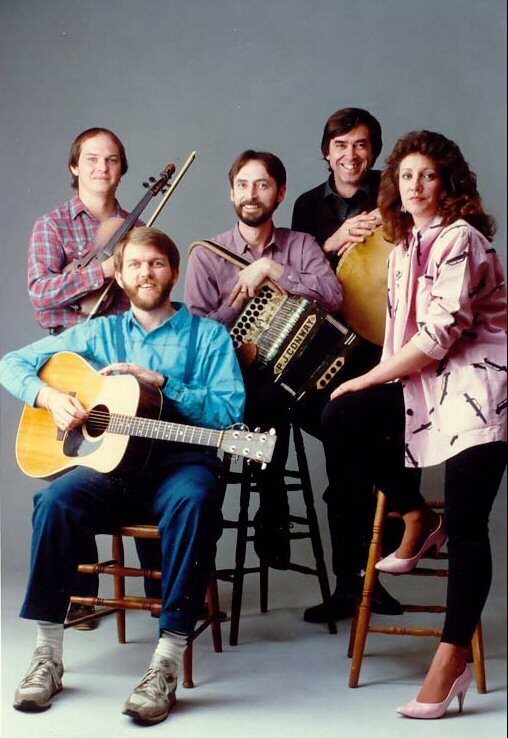 Back row, left to right: Terry Winch, Regan Wick, Patrick Ourceau, Linda Hickman. Front row: Jesse Winch, Laura Murphy. 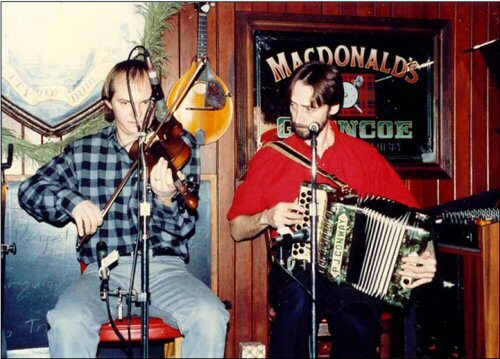 Rob Thornburgh and Terry Winch on stage at The Dubliner, Washington, DC, December 1986. Danny Doyle, Paula Wiley, Terence Winch, and Myron Bretholtz, ca. 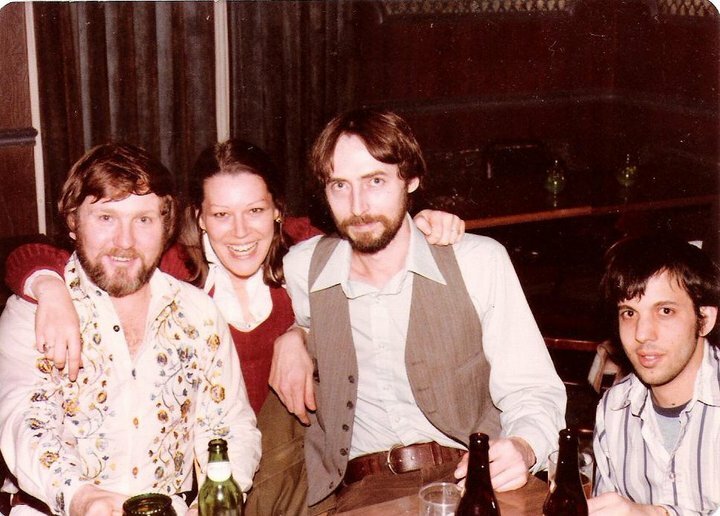 late 1970s, possibly at The Dubliner, Washington, DC. 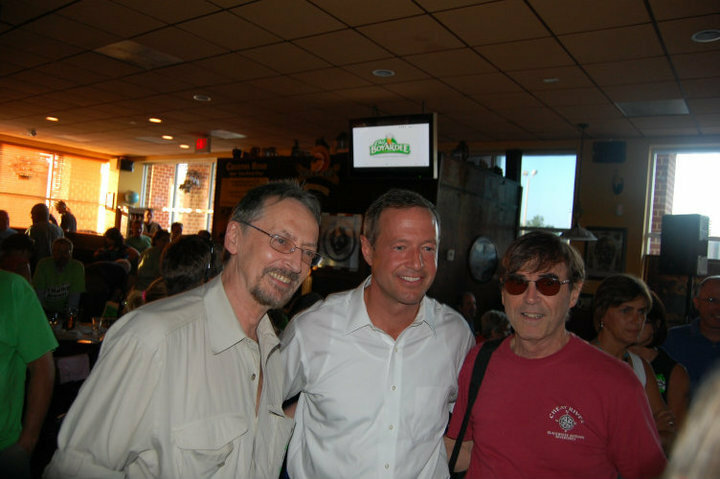 Terry Winch, Maryland Governor Martin O'Malley, and Jesse Winch. August, 2010.